As the UK’s motor industry continues to face a shortage of skilled technicians, leading PSV parts distributor Imperial Engineering, examines the changing landscape for apprenticeships, the traditional entry point for new engineering recruits into the bus and coach sector. The Apprenticeship scheme is currently in a period of significant change, relating to both structure and financing. Over the past decade, training providers have been responsible for managing 80% of all Apprenticeships in England with large employers and further education colleges making up the other 20% but all that’s about to change as new regulations come into force this year. From April, a new Apprenticeship Levy will be paid at a rate of 0.5% by employers with a payroll of more than £3million per year, affecting up to 20,000 businesses. The Government expects to raise over £3 billion a year by 2019-20, £2.5 billion of which will be ring-fenced to be spent on English apprenticeships only. The funds collected will be accessible to employers who want to purchase apprenticeship training, regardless of whether they paid the levy or not. Starting in May, the Government will launch a new system of fifteen funding bands to which all apprenticeship framework standards will be assigned. Employers will then be responsible for negotiating with training providers a price for training and assessment within a funding band. A new voucher scheme also came into force in January, enabling employers to purchase training directly from their chosen supplier. This process transfers the administrative burden previously managed by colleges and training providers into the hands of employers. This has potentially serious consequences for the motor industry and its sub-sectors, as many of the existing programmes are subject to cuts of up to 50% in Government funding. In addition, many businesses do not have the staff or expertise to navigate the necessary ‘red tape’ to access funded training. As a result, many commentators believe this ‘double whammy’ could lead to a trainee drought, worsening an already critical skills shortage. Based in Cheshunt, leading PSV parts distributor Imperial Engineering, has been an advocate of bus and coach technician apprenticeships for several years. The company actively supports apprentices at the grassroots level through a number of measures. These include organising training sessions with Imperial Engineering’s OEM suppliers such as Knorr-Bremse, Haldex and Wabco for customers including Arriva, Go Ahead, London United and Metroline and the provision of training materials to support engineering apprentices. 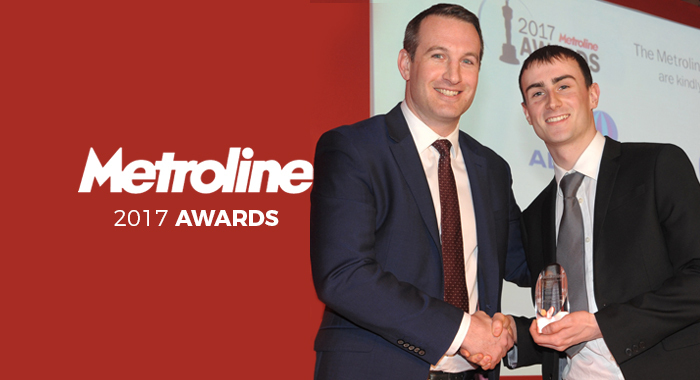 Imperial Engineering also supports the recognition of apprentices, such as its sponsorship of Metroline’s Service Awards. Held in February at the Hilton, London Wembley, the Awards recognise the service and excellence of Metroline employees, as well as their dedication to the organisation. Imperial Engineering sponsored the Apprentice of the Year Award for the fourth consecutive year, which was presented to Alex Potter by John Dwight on behalf of the leading distributor of bus and coach parts.